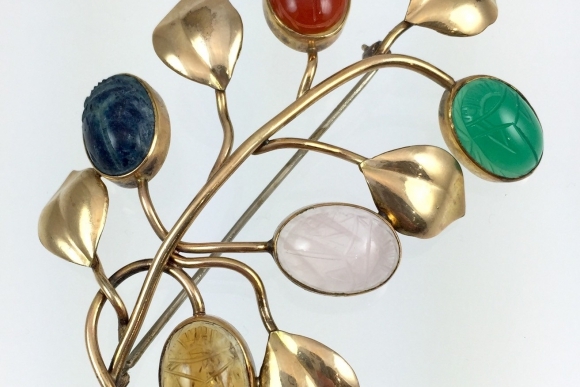 This vintage 1940s Retro large scarab brooch designed as a spray of leaves, is set with assorted natural hardstone scarabs, including carnelian, citrine, sodalite, quartz and chrysoprase. The scarabs measure approximately 13mm - 14mm x 10mm - 10.5mm. 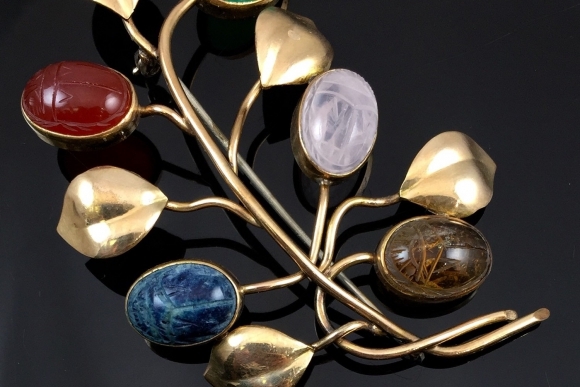 The brooch is 1/20 12K gold filled and is a quality piece of jewelry. It is secured by a modern rolling clasp. 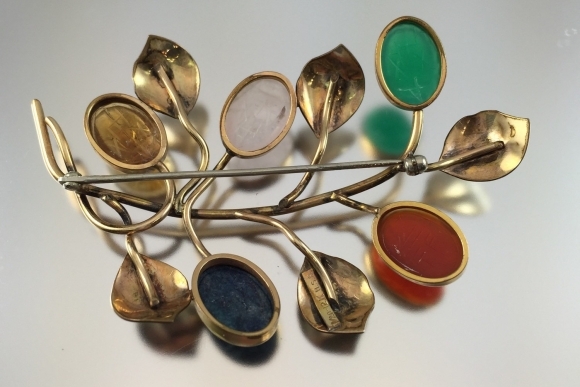 Wearing this brooch on a jacket or coat will insure a lot of compliments! 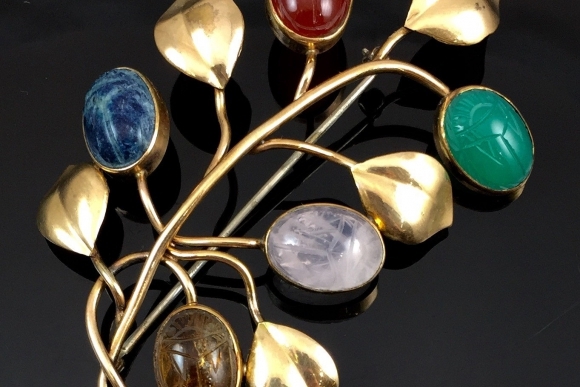 Scarab jewelry was all the rage in the 1940s - 1950s, being inspired by the discovery of the treasures of King Tuts tomb. The Egyptian symbol of rebirth and regeneration, the scarab has been a treasured amulet since ancient times. It is commonly believed good luck and fortune come to those who wear scarabs. The brooch measures 3 x 1 3/4 for stunning impact. 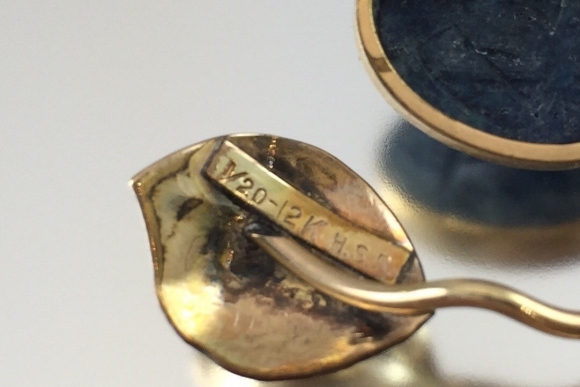 The brooch is signed H.S.B for Harry S. Bick & Sons. Very good condition. Circa 1940s.